Love at second sight? 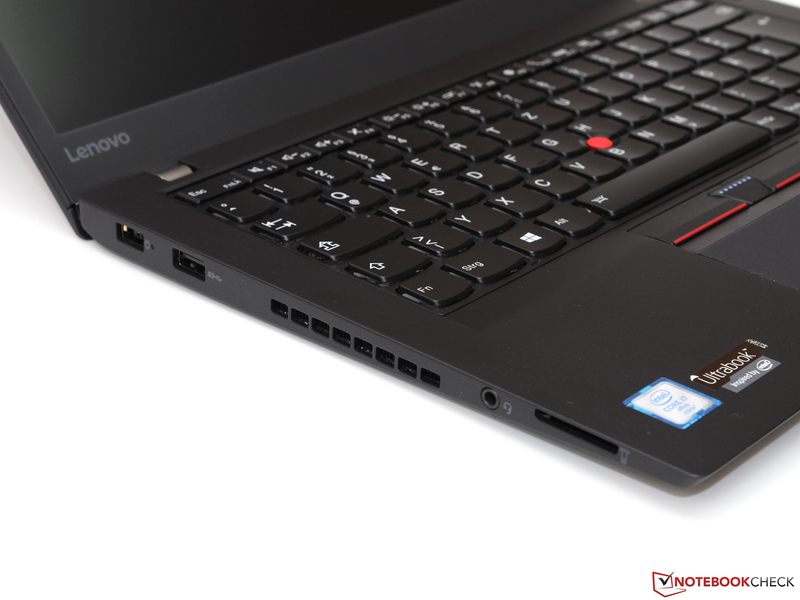 The ThinkPad T460s is our daily companion for about three months now – time to take stock for the first time. 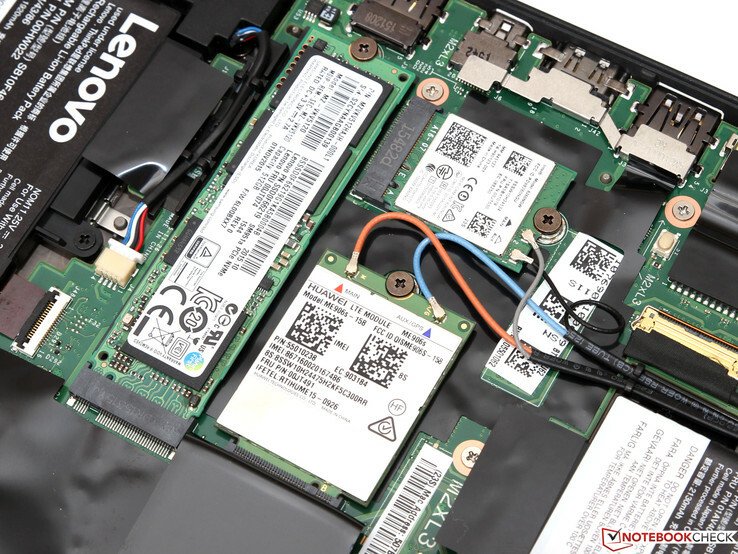 Can Lenovo’s business flagship confirm its excellent review rating in practice? 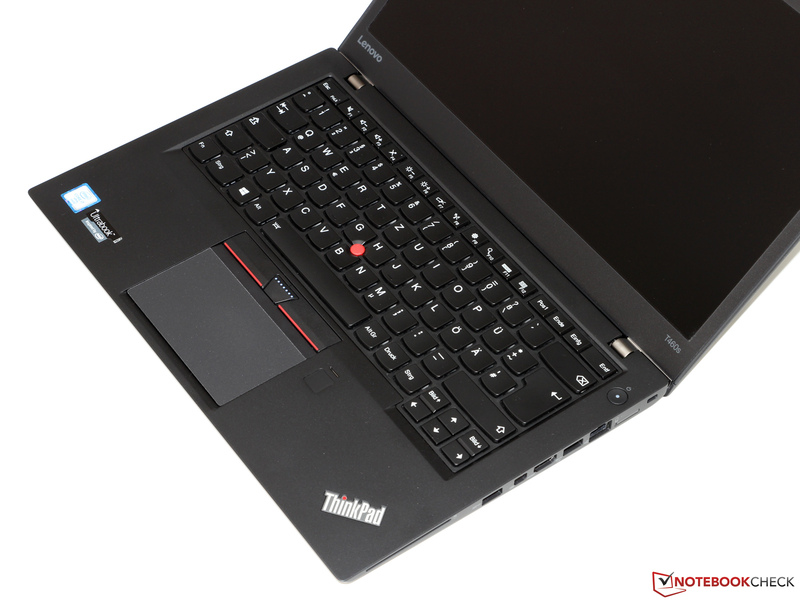 The Lenovo ThinkPad T460s is currently at the top of our Top 10 Business ranking with an impressive score of 91%. But despite our comprehensive review of the 14-inch device, some strengths and weaknesses will only be revealed after weeks and months in practice. Reason enough for us to evaluate the ThinkPad during a long-term review for 12 months. We want to thank the online shop notebooksandmore.de in particular, because the loan unit made this article possible in the first place. 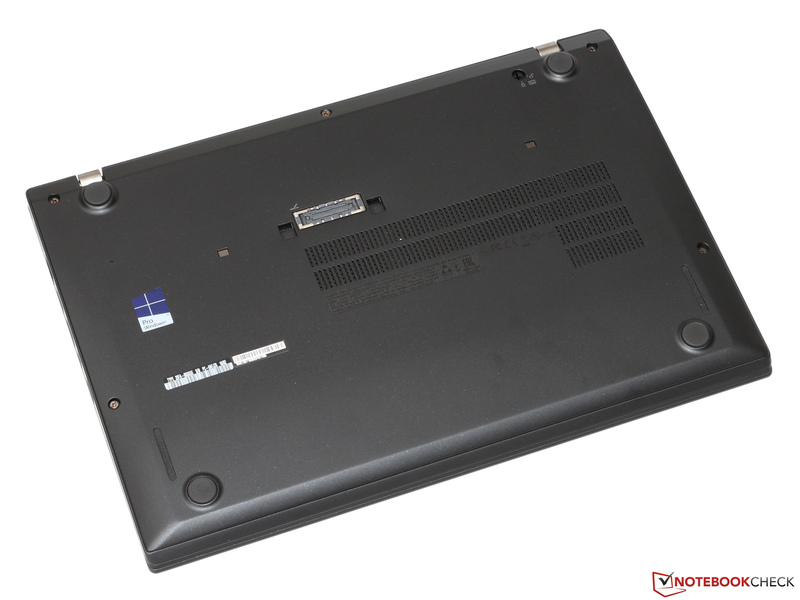 We have to admit: Three months are not a lot for a high-end business notebook with a 36-month warranty – but you still get a first impression about the durability of the notebook in this time. The T460s does not reveal any issues and appears just as fresh as on the start of the review. We use the device almost every day, but the sturdy chassis (which was always carried around in a sleeve, but not handled overly gently) does not show scratches or any signs of wear. The hinges are precise and still smooth, and there is no creaking. Also important: The inevitable dust and dirt collections can be easily removed with a simple microfiber cloth (slightly wet if necessary), or they are no problem on the smooth surface at all, respectively – contrary to devices with soft-touch surfaces. Even though the design of the T460s is pretty restrained, the extremely thin and light construction frequently results in envious glances and interested questions (but they often go away as soon as you mention the price). You get used to the low weight of 1.35 kg (~3 lb) and the size of the ThinkPad, which is not much bigger than a sheet of paper (Din A4), pretty quickly in practice, while your colleagues have to carry 15-inch devices with twice the weight. We already mentioned the quality of the keyboard a couple of times in our review – a verdict we would always confirm without hesitation. Pressure point, travel and feedback are still convincing after hundreds of thousands of strokes. 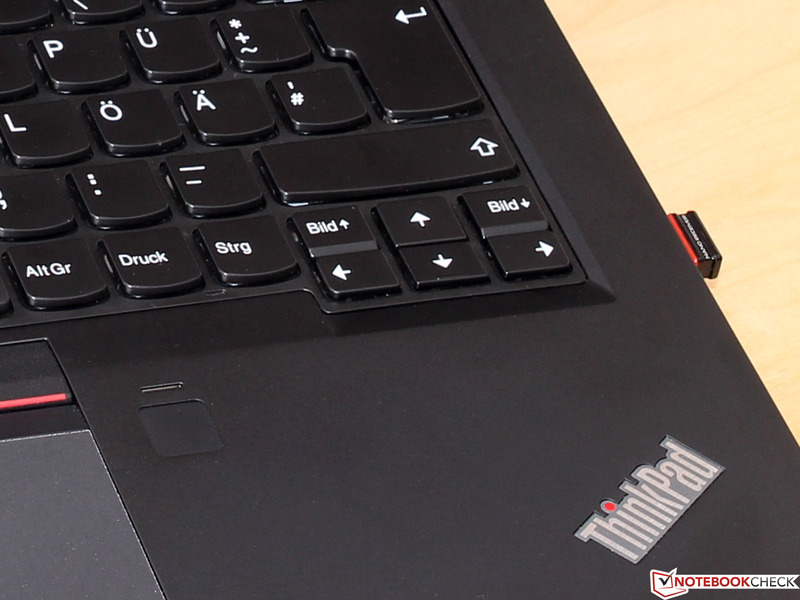 We would also like to have this keyboard for the desktop PC: Such a high-quality wired keyboard with illumination and numeric keypad should not be interesting only for ThinkPad fans. We still want to mention some issues due to the layout, and we are not quite used to them even after this longer review time. The first aspect is the switch of the Fn and Ctrl keys. You can change the allocation in the BIOS, but this does not change the lettering and size of the keys. 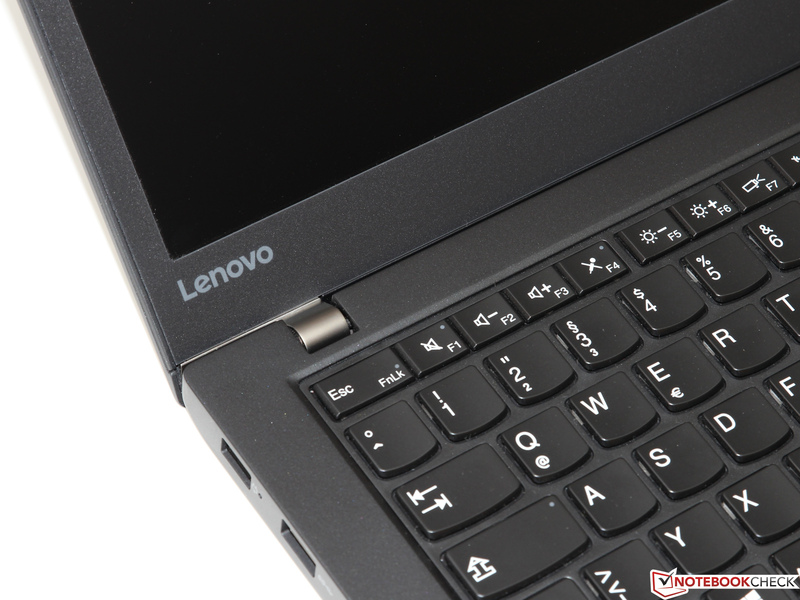 We do not like the design of the arrow keys, either. Because of the smaller size and the missing vertical distance, we frequently mixed up the page up/page down keys with those of the left/right arrow keys. 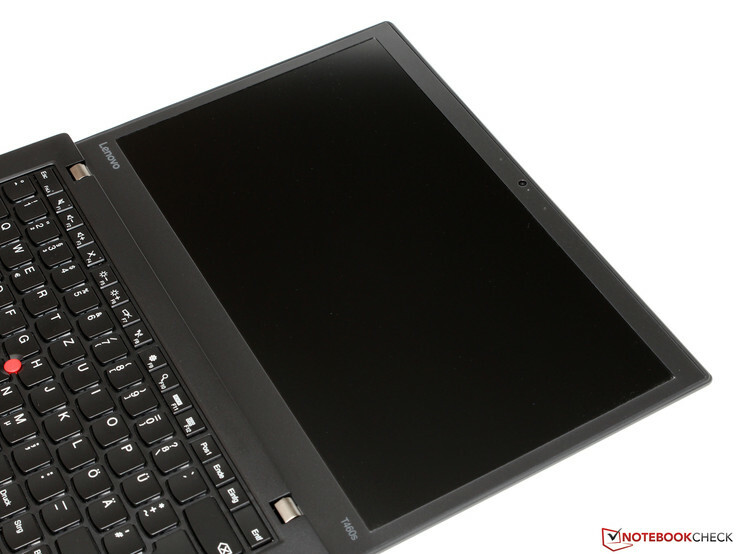 The touchpad cannot completely convince us, either, but this is a result of the ClickPad construction with integrated mouse buttons. A rich clicking sound does suggest the correct triggering of clicks, but inputs are not always recognized reliably – a problem we know from almost every ClickPad. 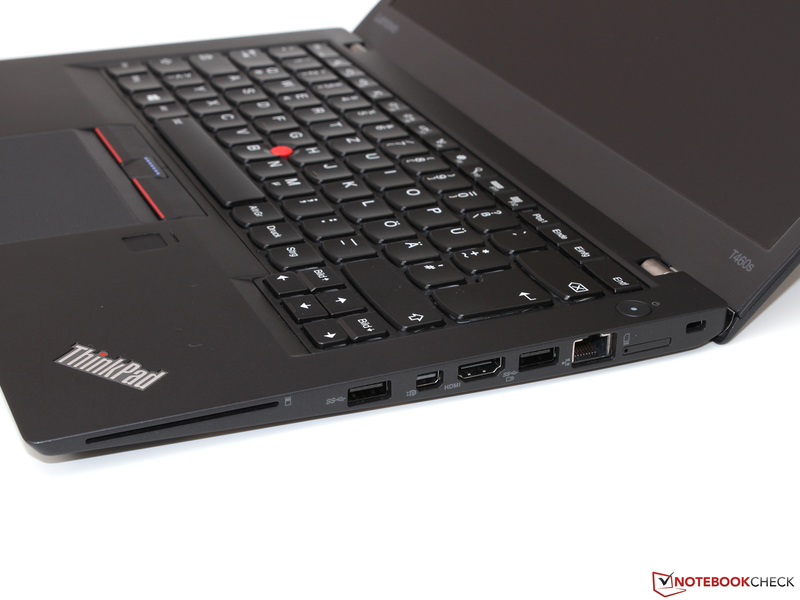 You can fortunately switch to the TrackPoint buttons, so there are no limitations in practice. 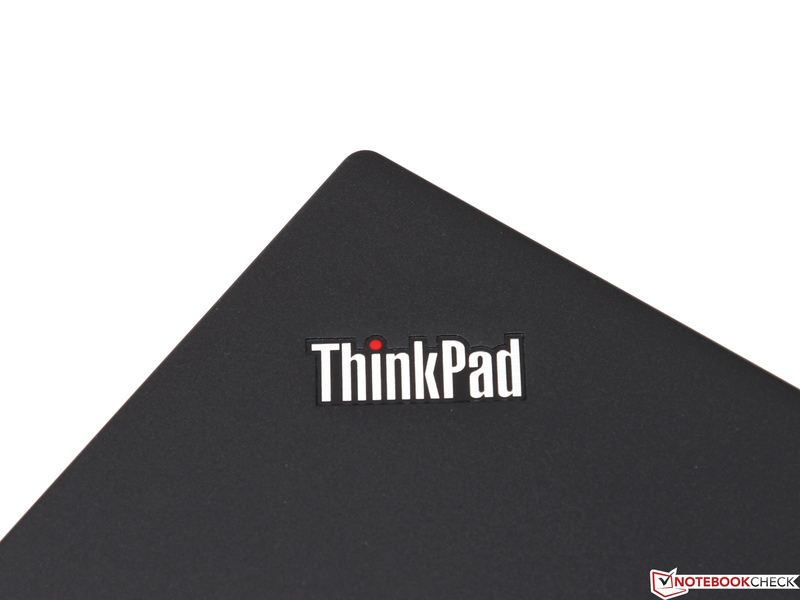 We hardly used the TrackPoint itself; the touchpad has good gliding capabilities with very sensitive multi-touch gestures and allows much faster cursor movements. Many users criticized the review saying that a notebook with a luminance of just 250 cd/m² does not deserve the title of the best business device. Before we comment on this, we once again want to mention the positive aspects of the integrated WQHD panel first, which include the great contrast ratio, the accurate colors all the way up to the excellent viewing angle stability. 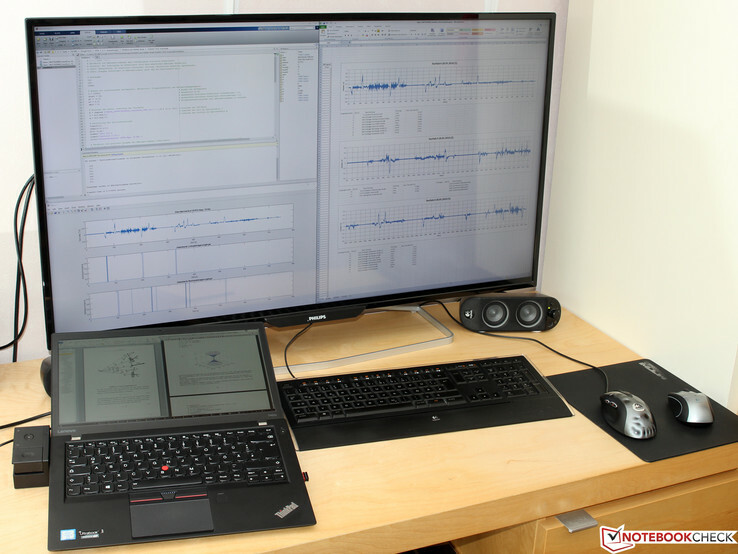 Another advantage is the high resolution with 2560x1440 pixels (210 PPI), which means the T460s offers the same work area as some big 27-inch monitors. We actually switched to the full resolution without scaling. If you have good eyesight and keep the viewing distance between 50 and 60 centimeters (~20 and 24 in), you should be okay with the size – and you can show two or three PDF or Word documents next to each other in return. It will also dramatically increase the productivity with large Excel spreadsheets or complex source code. 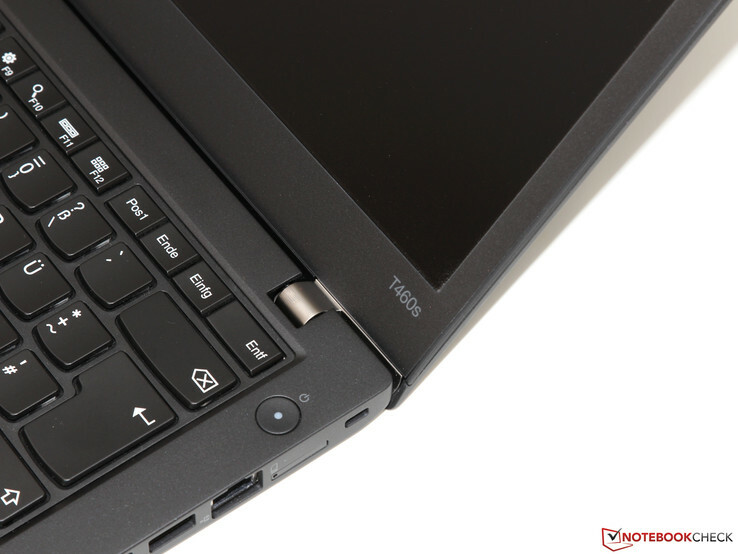 The importance of contrast ratio and luminance is higher when it comes to the display of smaller fonts and symbols – and here we return to the previously mentioned drawback of the T460s display. We actually have the brightness level at the highest position in the office most of the time, which creates a convenient, but not too bright result. 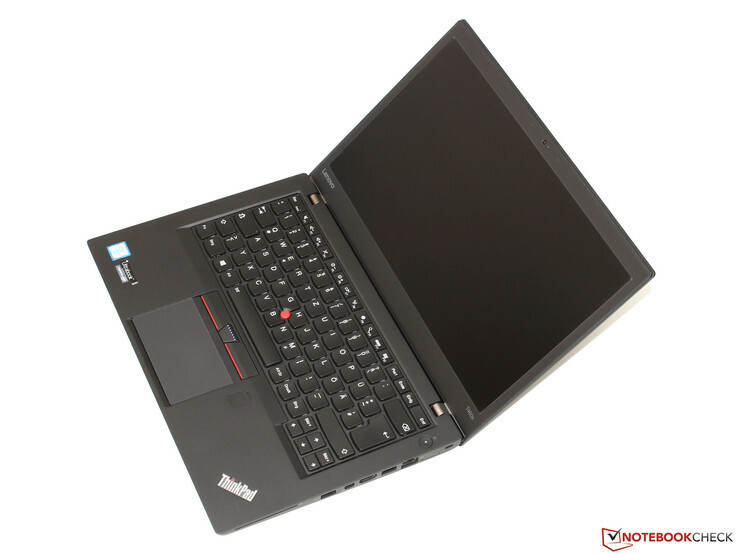 The ThinkPad does lack additional headroom for outdoor use; you can still see the display content thanks to the matte surface, but the presentation is anything but perfect under sunlight. You should be able to expect a display with luminance levels of at least 300-350 cd/m² when you buy a device north of 2,000 Euros (~$2212) – and not only according to the spec sheet, but also in practice. 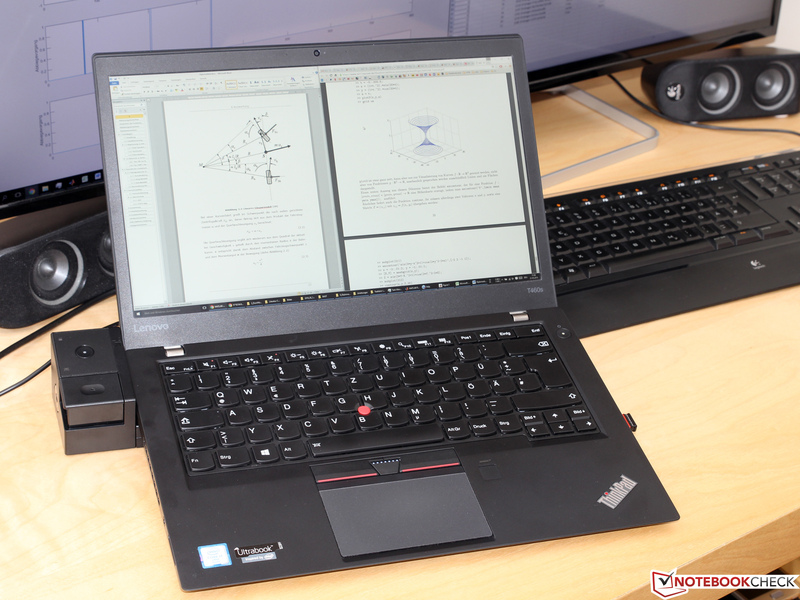 There are rumors that the T460s is also available with a panel from LG, which manages higher luminance results; we will try to get a corresponding device for comparison measurements. 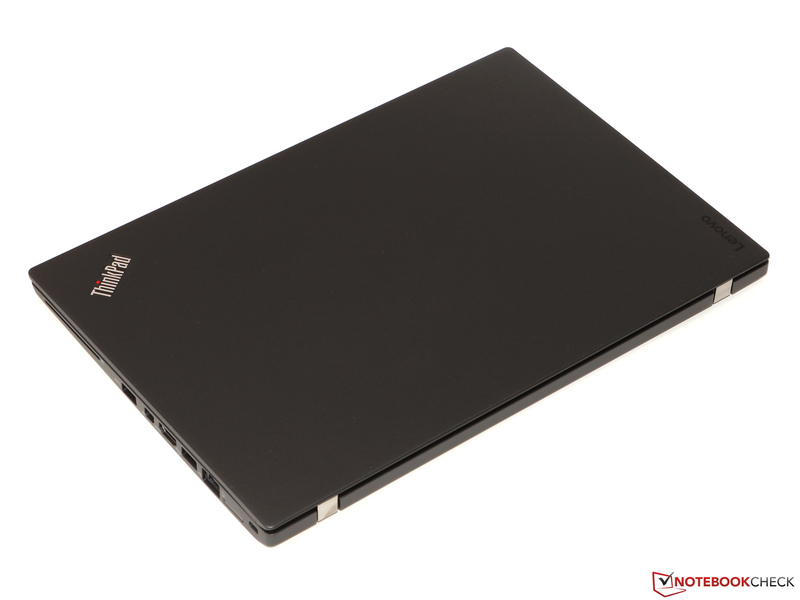 The Core i7-6600U of our review unit is the current top model from the (regular) Skylake ULV line-up. Thanks to the increase of the TDP limit to 25 watts, the processor can always maintain its maximum Turbo clocks of up to 3.2 GHz (Multi) and 3.4 GHz (Single), even under extreme load. 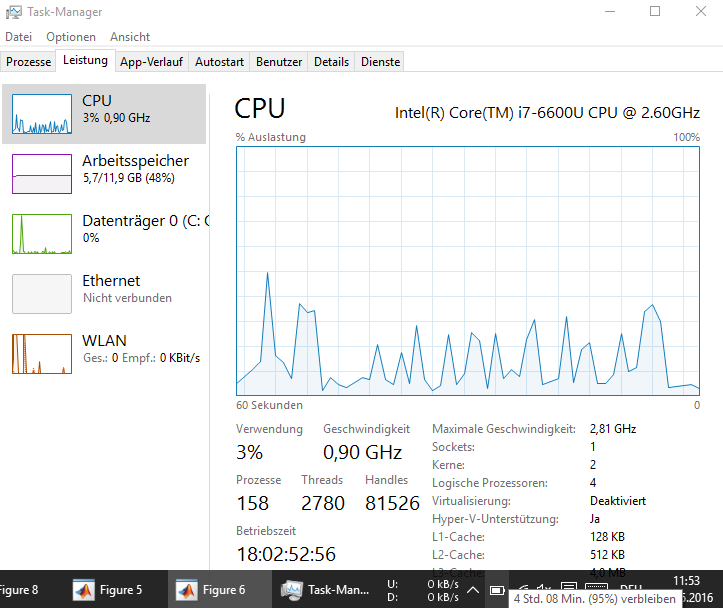 This creates enormous performance reserves, particularly for the single-core performance: There are still a lot of applications that hardly benefit from more than two cores, including installation routines, application launches, simulation software or proprietary business applications. 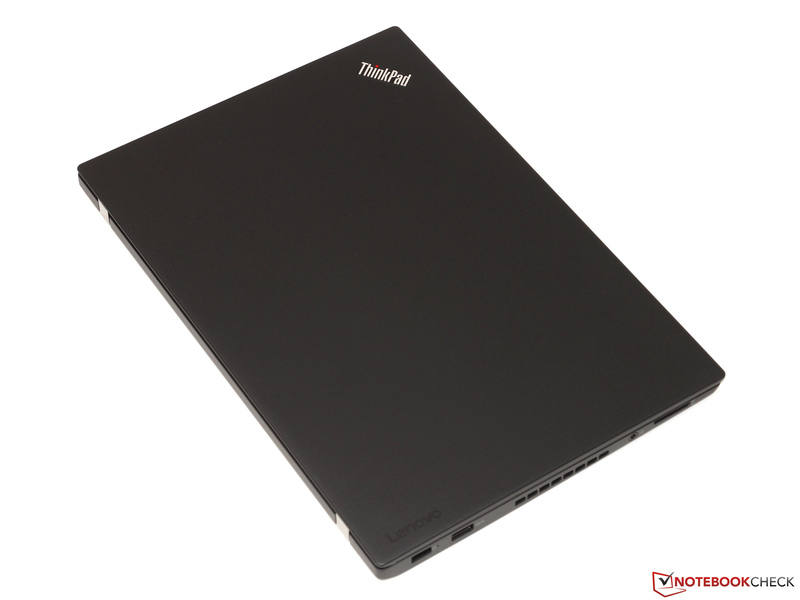 The 6600U works really well in these cases thanks to its combination of high clock and IPC-optimized architecture and can even keep up with some desktop PCs. 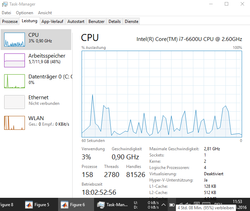 The multi-core performance is not bad either thanks to Hyperthreading, even though you should not expect any miracles from the dual-core. Intel should finally release quad-core ULV chips – a lower clocked quad-core (with powerful Turbo Boost for poorly parallelized software) should often increase the power efficiency. 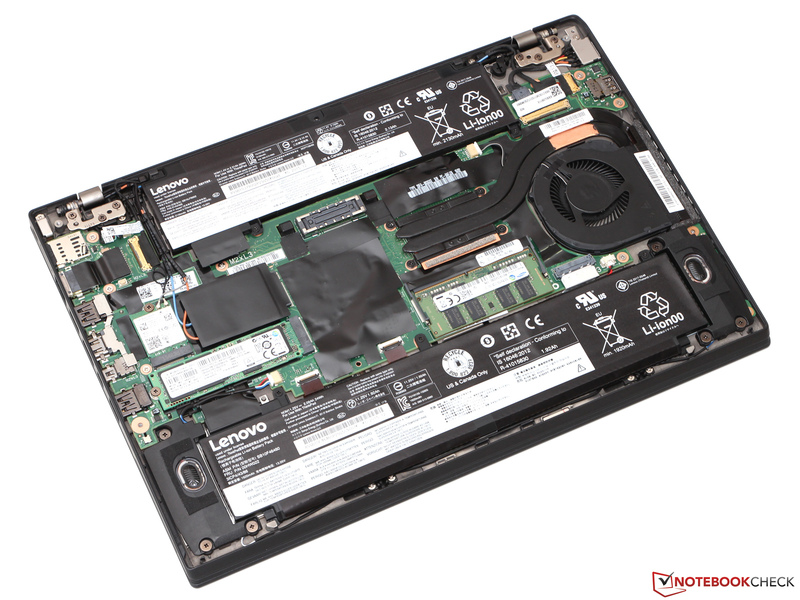 Lenovo unfortunately only equips the T460s with regular ULV models with the GT2 GPU (HD Graphics 520), even though Intel also offers the more powerful GT3e chips (Iris Graphics 540) with twice the amount of shaders and dedicated eDRAM for this TDP class. The graphics performance might not be the most important aspect for a business device, but a Core i7-6650U would only cost around 20 Euros (~$22) more than the i7-6600U and significantly improve the performance in 3D applications, games and memory-intensive applications (the 64 MB eDRAM can be used by the CPU and GPU). Finally some words about the storage drive: Due to the lack of a 2.5-inch bay, all configurations of the T460s are equipped with a responsive SSD, which ensures fast boot and loading times. 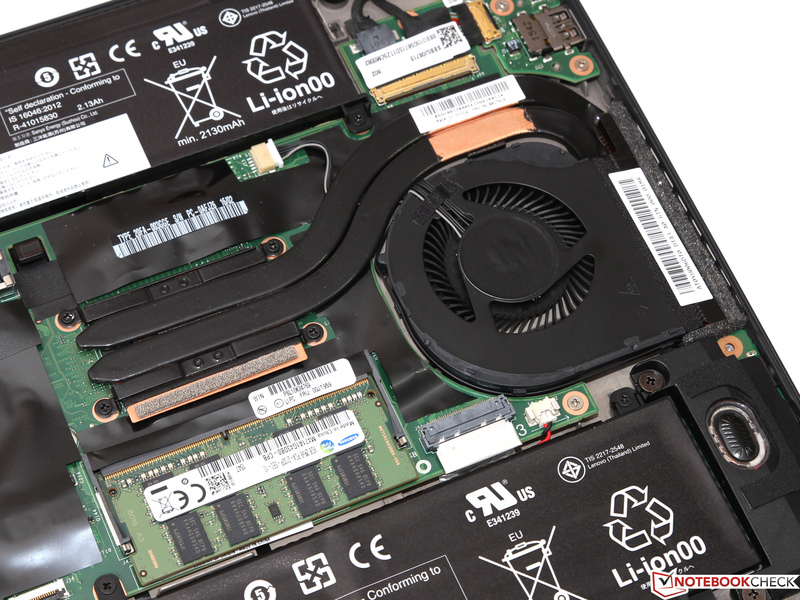 We do not think it is really important if you get a common SATA or a modern PCIe drive. The Samsung SM951a of our review unit does manage impressive read transfer rates of more than 2000 MB/s and copies large folders within seconds, but how often do you need this in practice? If you are looking at the price, you should start to save money in this section. It should have been a challenge for Lenovo’s engineers to dissipate the heat from the 25-watt chip as quietly as possible from the thin 14-inch chassis. 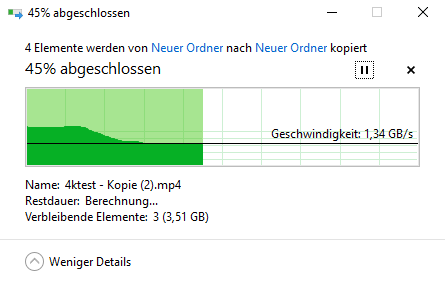 The result is pretty impressive: The fan is usually deactivated while idling and with office tasks, and only starts to spin pretty slowly after a while when you increase the load. 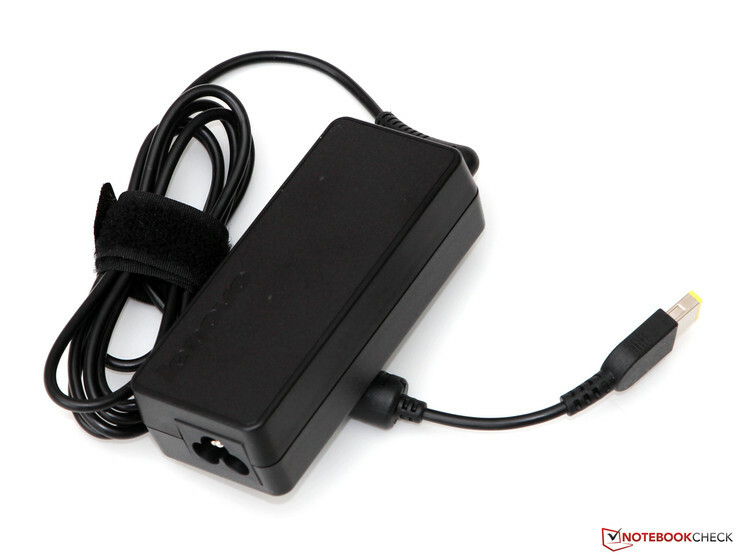 We can say that the device is basically silent in common office environments, even at a small distance. The chassis does not really get warm, either – you can easily use the T460s on your lap for web browsing on the couch and do not have to fear inconvenient temperatures. Thanks to the low weight and the wide opening angle of the display, the Ultrabook is actually pretty well-suited for this purpose. 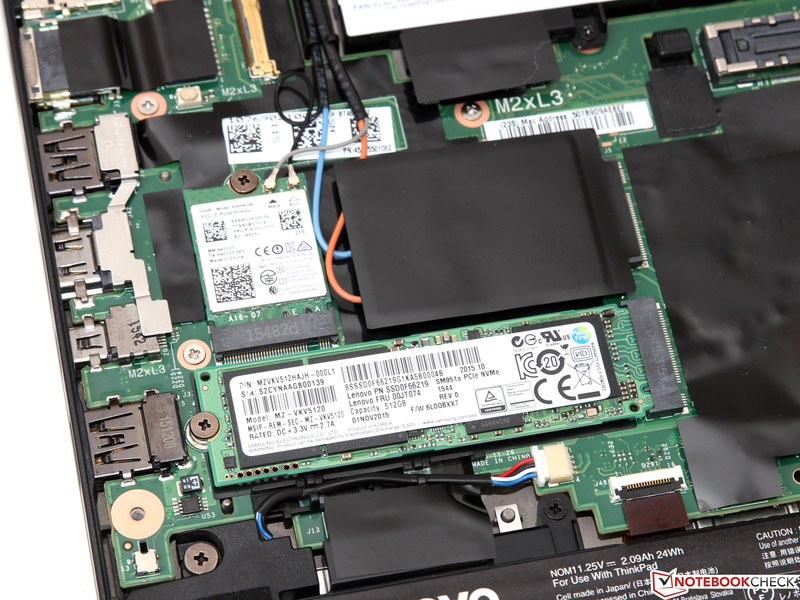 Battery Runtime – the Achilles heel of the T460s? 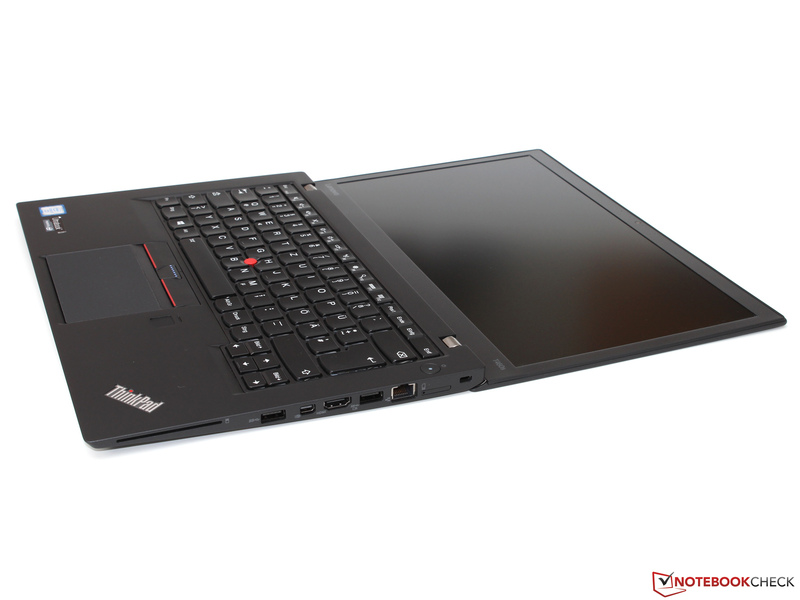 The T460s lasted about 6 hours in our Wi-Fi test, which is not very good within the comparison. This value can also be much shorter under load and at the highest luminance setting: If you use the device with the native resolution and without scaling, like we do, you will use the maximum luminance most of the time. If you handle large Excel spreadsheets, numerous browser tabs and PDF documents, a runtime of more than four hours will not be very realistic. This might be insufficient for some field staff, especially since you cannot increase the battery capacity of the two internal batteries. 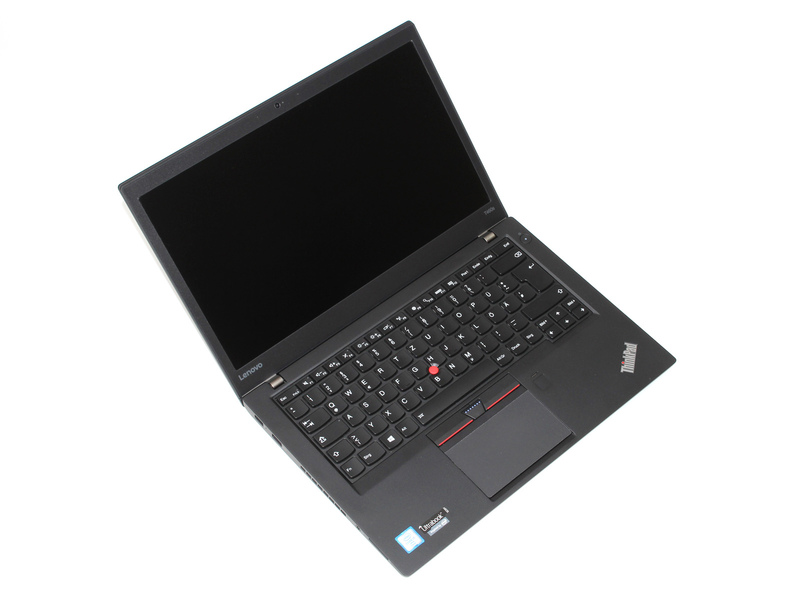 The stamina should, however, be sufficient if you primarily use the ThinkPad in the office for meetings and presentations. 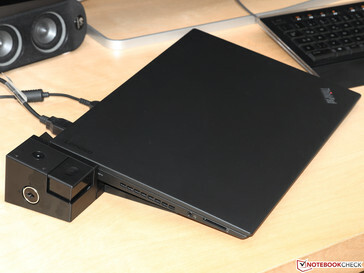 You just have to put the ThinkPad on the Dock and snap it in, after that you can also lock it securely with a key. 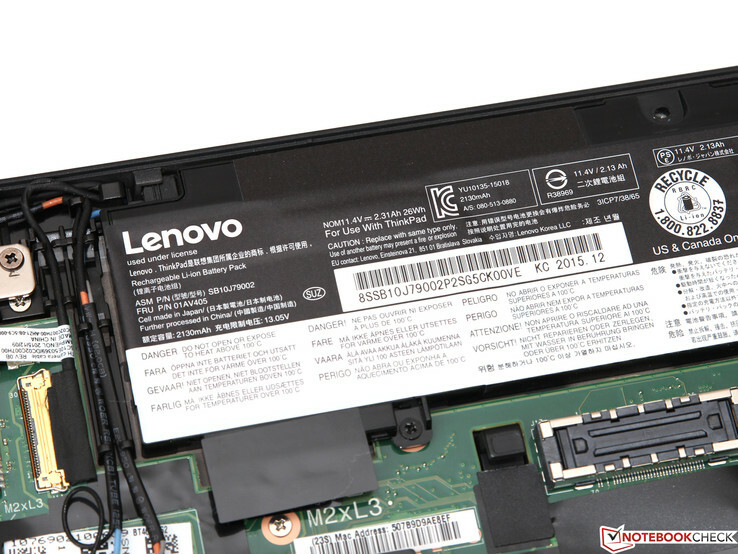 Handy: Thanks to a dedicated power button, you do not have to open the T460s to boot it if you only plan to use external monitors. 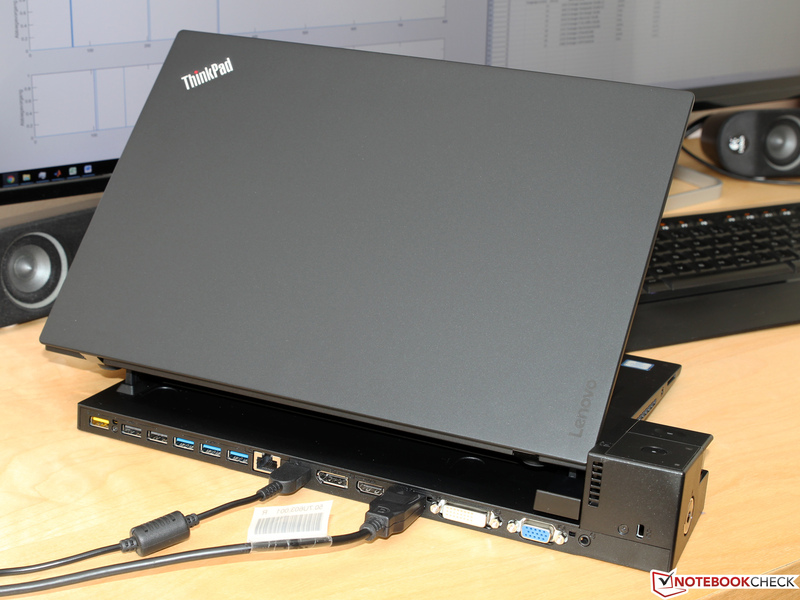 You can drive a total of three displays including the notebook panel – Intel’s Skylake series does not support more. We were able to attach a 4K monitor (Philips BDM4065UC) via the ThinkPad as well as the docking station without any problems. 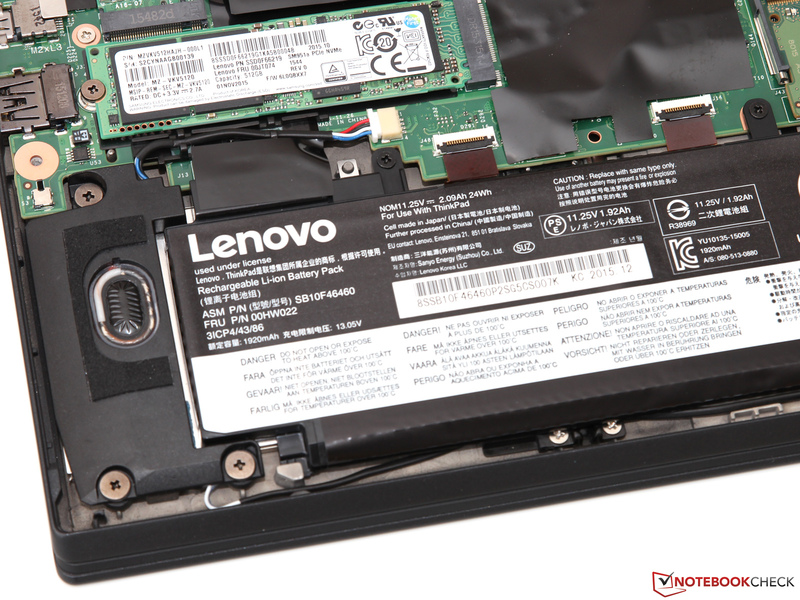 Even though the HD Graphics 520 has to accelerate a total of around 12 MP, the handling never felt lazy or jerky. 3D applications or games are obviously not possible in this resolution, but the graphics performance is completely sufficient for simple office and multimedia purposes including 4K video playback (HEVC). The same applies for the processor and the general system performance: Even excessive multi-tasking with Matlab, PDF Reader, MS Office and several browser windows did not really stress the ThinkPad. 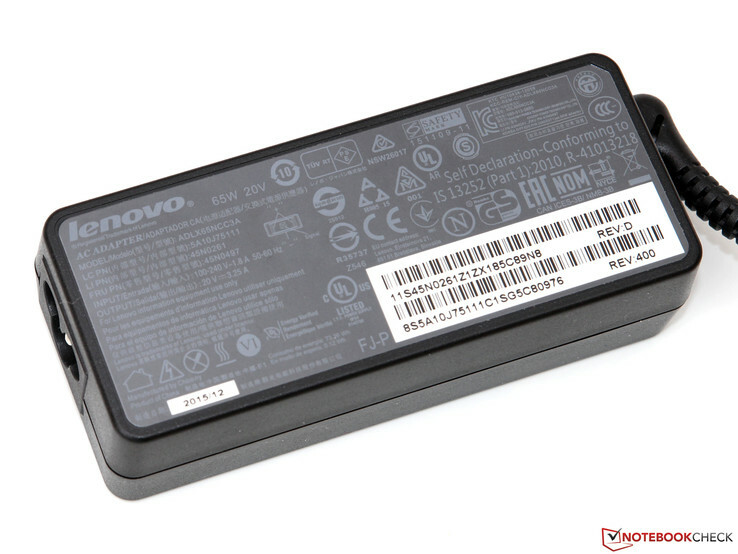 Not many users will need more performance for office applications. Lenovo ThinkPad T460s, courtesy of Notebooksandmore. Our overall impression did not really change after three months: Lenovo’s ThinkPad T460s is without a doubt one of the best business notebooks you can currently get. We do not want to mention all the positive aspects once again and refer to our in-depth review instead. 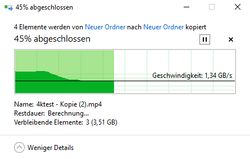 Still, this does not mean that the 14-inch device does not have potential for improvements. Besides some smaller drawbacks, like the suboptimal keyboard layout, we see two main points of criticism: The mediocre maximum luminance as well as the short battery runtimes. The latter might be seen as a deliberate design decision considering the thin and light construction, but the weak background illumination is hard to justify at this price point. Models with the previously mentioned LG display might perform better in this respect – we hope to add corresponding results with our next update of the long-term review. We would also like to know if you have any ideas for any detailed measurements or evaluations we could perform in the next couple of weeks and months.